wrote so you don’t have to answer so many questions about it. needs, but actually anticipate them. Or at least pretend to. programs that other people won’t want to say bad things about. 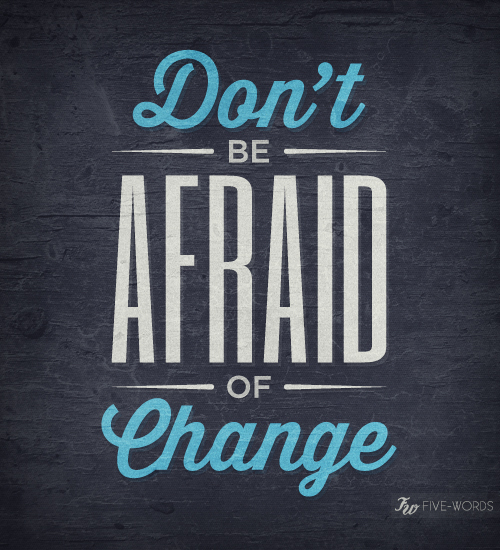 Change terrifies me. Hands down terrifies me. Always has. A few months ago I took a phone call from a recruiter on a new job opportunity. I agreed to talk to them purely because the guy on the other end of the phone is one I spoken to in the past and I respect him. Over the course of the last few weeks I slowly came to the conclusion that changing jobs may actually be a good idea. The problem is that I love the job I currently have and the team that I am with. The new place offered me options that were better for my family than where I am currently at. Eventually I put in my notice and discovered that I am a valuable asset to the company. This should not have come as a surprise to me, but it did. They gave me a counter offer that leveled the playing field as far as benefits and the family situation. Now what do I do. I discovered that when the field was leveled and the decision was purely about me and what I want for myself I froze up. How do I make a decision like this. Leaving a place I love, for the unknown of a new company. Finally I read the following quote from a woman who I respect and has been in the background of my life for many years whispering in my ear, as any good muse should! While I realize change can be scary, there comes a time when our “good enough” isn’t “good enough” anymore and we have to leap past our fears with courage and boldness to live the life we want and deserve. I never quite know what I want out of life. Even after two months of contemplating leaving, it wasn’t until today that I realized I am making the right decision. What become clear to me is that if I don’t take the leap to something new I will not grow in the direction I want to. While the team I am on now is awesome, I feel like the opportunities offered at the new company will help me to grow in my career in a way that my current job will never be able to do. Saying goodbye to the great team I am with now will be difficult. But looking forward to whats coming up has me excited to see whats around the corner.